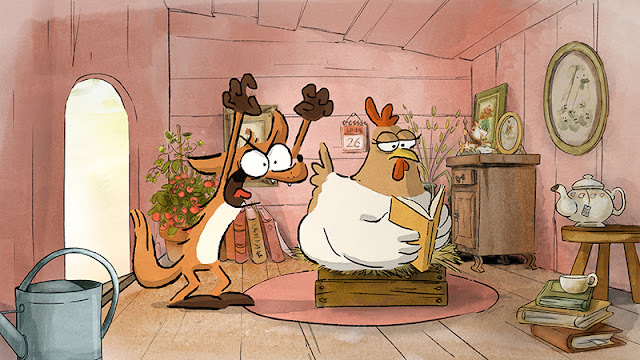 From the creators of the Academy Award nominated ERNEST AND CELESTINE, comes The Big Bad Fox and Other Takes, this hilarious adventure about a gang of animal misfits the story is told through beautifully hand-drawn animations, the story unfolds around lovable countryside creatures as they try (and fail), to fulfil their traditional roles in the farm and the forest. A lazy stork leaves the delivery of a baby in the care of a rabbit, a pig and a duck. A big, bad fox tries to live up to his reputation whilst he unwittingly adopts three confused baby chicks and in the film's final tale, the animals embark on a hair brained scheme to replace Father Christmas. 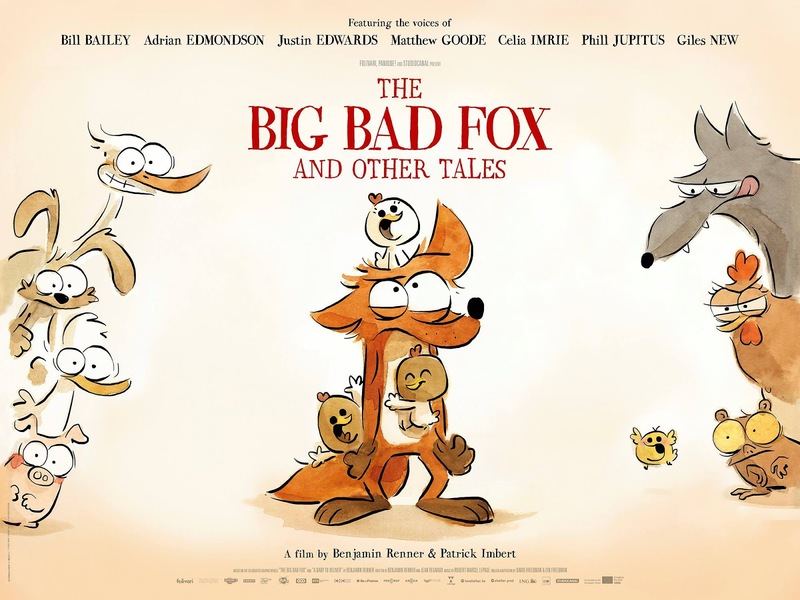 Featuring a host of voices from the world of British comedy, including Bill Bailey, Adrian Edmondson, Justin Edwards, Matthew Goode, Celia Imrie, Phill Jupitus and Giles New, THE BIG BAD FOX AND OTHER TALES is a heart-warming portrayal of the pitfalls of family life. In cinemas August 3rd.